The odyssey of an ICRC delegate Dr. Marcel JUNOD © copyright Benoit Junod 2003-2011 and ICRC archives for illustrations. Marcel Junod was born on May 14, 1904 in Neuchâtel, son of Richard Samuel Junod (1868-1919), from Lignières (NE), a family of pastors  , and Jeanne Marguerite Bonnet (1866-1952), from Geneva, of the Bonnet de Thônex family from whom the great naturalist Charles Bonnet . His father began his pastoral tasks by preaching in small parishess in Belgium, sent by the independent church of Neuchâtel. He is then in charge of poor rural and urban parishes in Chézard-St-Martin near Neuchâtel and La Chaux-de-Fonds. Marcel Junod spends his youth and school years with his six brothers and sisters  - he is the fifth child. Their life is frugal: at age 14, he spends his holidays working in a brick factory. 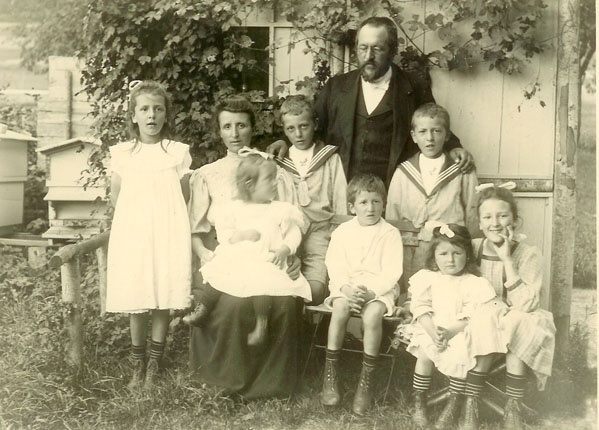 At the death of her husband in 1919, Ms. Junod decides to return to Geneva with her children. His son Marcel and his two younger sisters recover the Geneva bourgeois right from their mother, taking advantage of a law that no longer exists today. They settle in Florissant, where Ms. Junod opens a boarding house to be able to support her children, with the help of her sister Marie-Antoinette Bonnet and a small family nest egg (the Bonnet were master erectors father boxes in son and had been, at the beginning of century, owners of the watch factory Juvéna). Marcel enters Calvin College and is noted for his intelligence and vivacity. He has an original spirit and a great gift of communication: he tames a lizard he calls Chilperic and comes when he calls it. Very concerned about human misery, he took part in the "Days of Hunger" and in 1922 he was one of the directors of the Relief Movement for Russian Children. In 1923, he obtained his Latin Maturity and Modern Languages (English, German, Italian). He absolutely wants to study medicine; he treasured his father's biology class manuscript, meticulously written and illustrated, dating back to 1883 when he was fifteen years old. 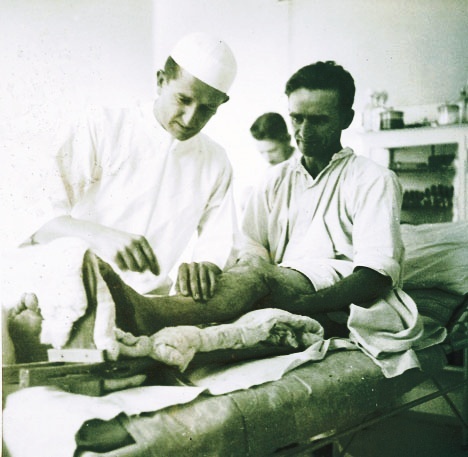 Thanks to the generous help of his uncle, Henri-Alexandre Junod  , his wishes are fulfilled: having completed his studies in Geneva and Strasbourg, he obtained his doctor's degree in 1929, his thesis being on "Psoriasis in accident medicine"  ". He decided to specialize in surgery and became an internal assistant in the surgery department of the Cantonal Hospital of Geneva (today HUG) under the direction of Prof. E. Kummer, then spent four years (1931-1935) in the medical-surgical department of the Mulhouse civilian hospitals, as an internal assistant and, in the last year, obtained his surgical diploma as Head of Clinic of the Department of Surgery, who had 270 beds. He is passionate about music and plays with talent of almost any instrument; later, he will settle on the piano, which will teach him his cousin, the great pianist Jacqueline Blancard. 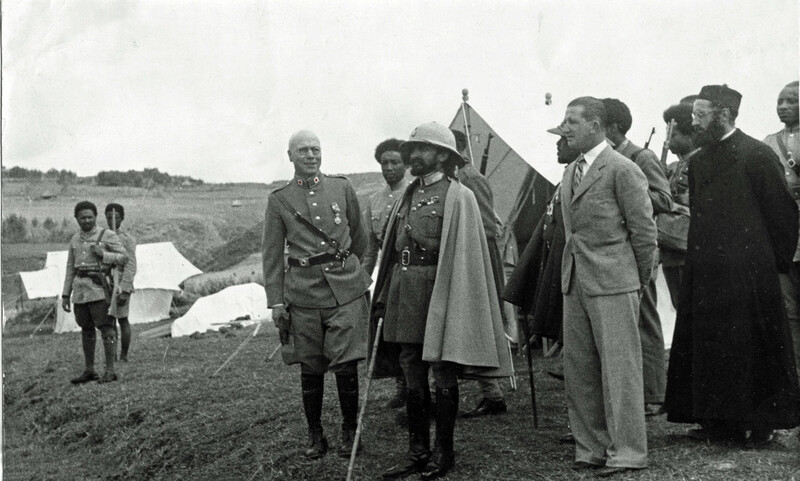 Arrival of Marcel Junod and Sidney Brown at the railway station of Addis Abeba. 1935. Italy invades Ethiopia. The International Committee of the Red Cross (ICRC) is looking for a young doctor to send him as a delegate in the field. A friend in Geneva informs him, and a few weeks later Marcel Junod goes to Africa where he arrives in Addis Ababa with Sidney Brown. His book, "Warrior without weapons" (published in 1947, translated into a dozen languages) is still the bedside book of any young ICRC delegate. He speaks with talent and eloquence of the journey that led him, as a delegate, first to Ethiopia, where he sought to organize the embryonic Ethiopian Red Cross and deal with national and foreign ambulances. The ICRC had made an offer of services to both parties, but Italy had refused. He witnessed the bombing by the Italian Air Force of British Red Cross ambulances, Swedish and others, who were trying to rescue civilian and military casualties, and - on March 18, 1936 - the use of poisonous gas, "yperite", in flagrant violation of the Geneva Protocol of 1925. The "Société des Nations" asks the ICRC for proof, in particular the Junod report, but the institution refuses indicating that it is in contact with the belligerents on this subject. He risked his life several times. "At Addis Abeba John Melly found a consensus of opinion that we should go north. In the first place, it was the Emperor's wish. In the second place, it would relieve the political tension. In the third place, Brown, of the International Red Cross from Geneva, aided by the voluble, forceful and lovable Junod (also from Geneva), would have it so. And when he spoke like that, sweat poured from his honest face, and true sorrow was in his eyes. 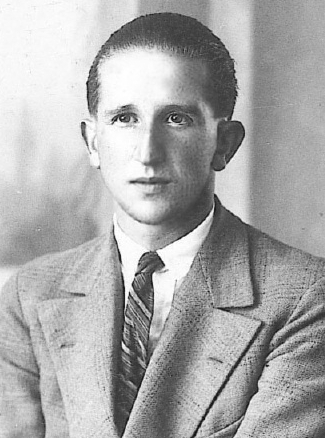 After the Italo-Ethiopian conflict was over, he was immediately appointed general delegate of the ICRC in the fratricidal tourbillion of the Spanish Civil War. As such, it establishes with both parties the bases of the ICRC's action and obtains the conclusion of agreements. He negotiates the first hostage exchanges in the Basque country. He then became head of delegation in Republican Spain, with Dr Roland Marti (1909-1978), in Valencia and Barcelona. It plays a decisive role in establishing the system for the circulation of family messages (5 million in total). He obtained the release of 5,000 detainees in Barcelona, whose life was threatened during the fighting that preceded the fall of that city. The book of Pierre Marqués, "La Croix-Rouge pendant la Guerre d'Espagne", 1936-1939, The Missionaries of Humanitarian (L'Harmattan ed. 2000) gives a thorough analysis of this conflict. The author writes: "There appears a model of a man of action whose prototype was Dr. Junod, whom his experience designated as general delegate. Upon arrival, one is struck by the suddenness and speed with which the decision is taken away, documents accepted and initialed. Answers can be put forward, an exceptional talent of negotiator justifying a posteriori the trust of the ICRC. ... Discussing the mission and the ability of the delegate general in the talks, mainly in the nationalist zone, should not overshadow his influence on the doctrine and philosophy (of the ICRC)" (op. cit. pp. 378/379). Léopold Boissier  writes : "In such a conflict, the Geneva Conventions, then in force, did not give the delegates of the International Committee the means to fully accomplish their mission of neutral intermediary between the two adversaries. No matter ... Marcel Junod, burning with faith, did more than his duty. By his incessant interventions in both camps, by his appeal to what remained of human in a struggle until then mercilessly, he managed to save thousands of lives. Thanks to him, convicts were spared, hostages, died, saved and exchanged ." Among these prisoners, among many others, Arthur Koestler . It was on the basis of what Marcel Junod was able to obtain from both parties that protection standards in the context of civil conflicts could subsequently be developed. When the World War broke out in 1939, Marcel Junod was first incorporated as a medical officer in the health services of the Swiss Army, but a few days later, the ICRC intervened and sent him first to Germany, where on September 27, 1939 he visited the first camp of Polish prisoners of war. Then, from Berlin, he shines to visit the camps of prisoners of war and interned civilian allies formed in Germany, then in Belgium and France, where he visits German prisoners of war. 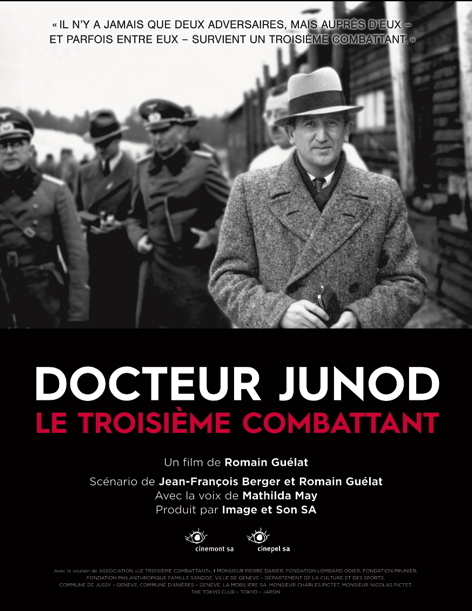 Soon after, Junod instituted the exchange of information between French prisoners of war and their families, often displaced, by clearing the Agency of prisoners of war. He obtains from Berlin that all prisoners be allowed to send the Agency a second "catch advice card". In 1940, he is in London with Ms Lucie Odier  , at the time of the air blockade and bombings, to organize the transport by sea of relief for prisoners of war in Germany. He travels to Sweden, where he and the Swedish Red Cross set up a huge rescue action for the hungry Greek population. September 1941, he goes to Turkey to establish a relay of the Agency assigned to the conflict of Eastern Europe; from there - he returns to Ankara twice - he is involved in promoting the sending of food relief by boat to Greece. He went on a mission to Athens to organize the hospitalization of Greek children in Egypt, then in Crete, where he visited prisoner-of-war camps in the hands of the Italians. 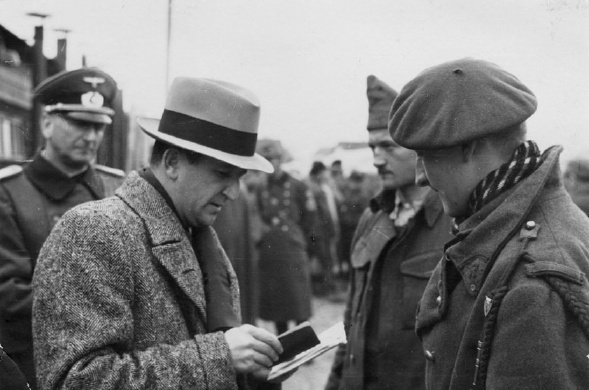 During his third mission to Turkey, he is mandated by the ICRC to seek to solve the problem of Soviet prisoners in Germany, and Germans in the Soviet Union.  . He then returns to Berlin and Stockholm to amplify the relief action in Greece. Then he rejoins his post in Berlin, constantly fighting for the respect of the rules of the humanitarian law and for their enlargement. Exhausted by four years without any respite, he detached himself from the ICRC and lived in Geneva from 1943 to 1944, as a medical expert for the district of the Swiss National Insurance Company against accidents and occupational diseases.
" Although knowing your determination and fully approving the motives, we feel, now that the time of separation is approaching, what your departure makes us lose. For you have been, dear doctor, during these seven and a half years, one of the most faithful and most devoted servants of our work. Always in the breach, always ready to leave, overnight, for distant countries, in often difficult and sometimes perilous conditions, you never refused us your assistance. In Africa, in Spain, then during the second world war in various European countries, you have successfully accomplished many important and delicate missions. Your manners of action, your energy have made you overcome many obstacles and have allowed you to give back to the Red Cross. distinguished services". Huber adds, after wishes of success, " The fact that you are willing, if we are using you in the next few months and later, to continue to provide us with some collaboration, as far as your professional obligations will permit, is very pleasant to us. We are happy to be able to count on your dedication again and I thank you for it ". A few months later, Max Huber appealed to Junod ... who returned to the ICRC, where he worked for a year at Headquarters in Geneva. In December 1944, he married Eugenie Georgette Perret (1915-1970), who worked at the Prisoners of War Agency in the British service. In June 1945, Marcel Junod had to leave his wife - pregnant - in Switzerland, because again the ICRC sent him on a mission to Japan to replace Dr. Paravicini, who had died more than a year earlier. He went to the Far East by the trans-Siberian, and managed to get Japanese to visit, in Manchuria, Generals Wainwright and Percival, as well as other American prisoners in the hands of the Japanese. On August 9, 1945, he arrived from Manchuria in Tokyo with his collaborator Marguerite Straehler. 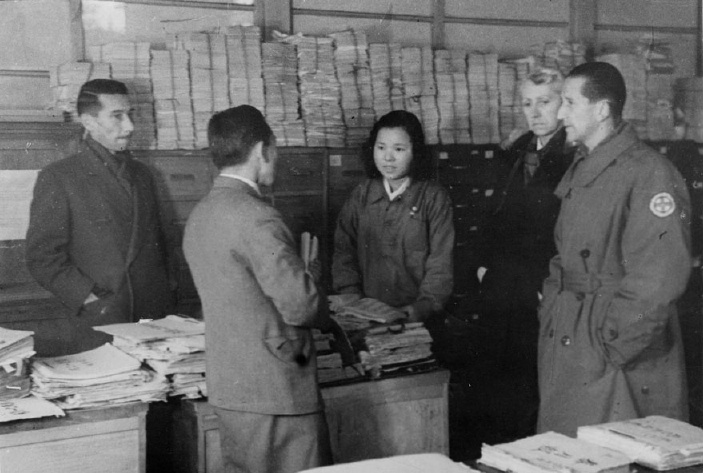 Having lived in Yokohama for a long time, where her father was established as a businessman, Miss Marguerite Straehler (1898-1961) played a key role in the logistics of the ICRC delegation as soon as she arrived. in Tokyo, because she had a great deal of technical experience working for prisoners of war, having been in the ICRC Central Prisoner of War Agency since 1939 and leading the American PG Service into Japanese hands. She spoke fluent Japanese. At the time of their arrival, the ICRC delegation in Tokyo had been without a leader for two years, and was inoperative. Alerted by rumors that two nuclear bombs have exploded in Japan and a humanitarian drama is taking place in Hiroshima, he does not get precise information: the Allied High Command blacked out the event and banned the zone to foreigners . He is also overwhelmed by censuses and emergency relief to Allied prisoners of war - a priority work of protection in the hubbub of surrender. The 29th August, the Evening Standard of London titled : "Japs give us full list of prisoners " and subtitled : " The names of prisoners of war and internees from the Tokyo area are now in the hands of the Allies: the full list was given today by Dr. Marcel Junod, the Swiss delegate of the International Red Cross in Tokyo ". The same Thursday, August 30, Junod receives from the Gaimusho, the Ministry of Foreign Affairs of Japan, a series of photos of Hiroshima and Nagasaki. These are the ones, to which will be added others that he will receive in Hiroshima from Dr Matsunaga, which he will bring back to Geneva in 1946. "An hour after departure we went along the east coast of Fujiyama, not far from its imposing crater, and then flew over the big cities of Japan, Nagoya, Osaka, Kobe which appeared to me like huge spots of rust with here and there. -there are few intact neighborhoods that have escaped the usual fire. But this show, although impressive, is not to compare with the fantastic vision of the Hiroshima desert. From the top of the sky, this city of 400,000 souls, the city of seven rivers, built on the Okatawa Delta, appears as if swept away by a supernatural force. The center is no more than a vast white spot surrounded by a brown belt, a trace of the fire that followed the atomization. In the distance, near the harbor, a few rare buildings appear intact, sheltered by a small hill. After flying over the city, the planes descend quickly and we land 10 minutes later at Iwakuni airfield, a former Japanese naval base. The drugs are unloaded and General Farrell, Head of Mission, entrusts me with the care. Marcel Junod stays in Hiroshima for five days to visit all the hospitals, ensure an optimal distribution of the medical equipment, see what was missing and obtain other supplies, and participate himself directly to the rescue as a doctor. Tuesday, 4.9: "See my diary ... so much to do, no time to write." Approach to General Fitch for Hiroshima Big arrival of troops - bulldozer for action. Wednesday 5.9: Alexis Johnson, Consul. Thursday 6.9: Col. Sams gives me a copy of a memo addressed to Gov. (erneur) Jap. (Onais) Sends 12 tons of drugs under our control. Friday 7.9: Prof. Tzusuki, Dr. Motohashi, Cape Town Flick, Cape. Nolen, Gen Farrell, Gen. Newman, Morrison physicist, Col. Oughterson (?). Lying at Myashima, shrine island. Saturday 8.9: Departure for Hiroshima at 9 1/2. Arrival Gen. in Tokyo. Arrival on Hiroshima at 12h. Scene of G. Moi. (?) Fair enough. Arrival IWAKUNI airfield. Drugs deposited. Lying Myashima. Sunday 9.9: Hiroshima visit. Hospitals, see personal notes. 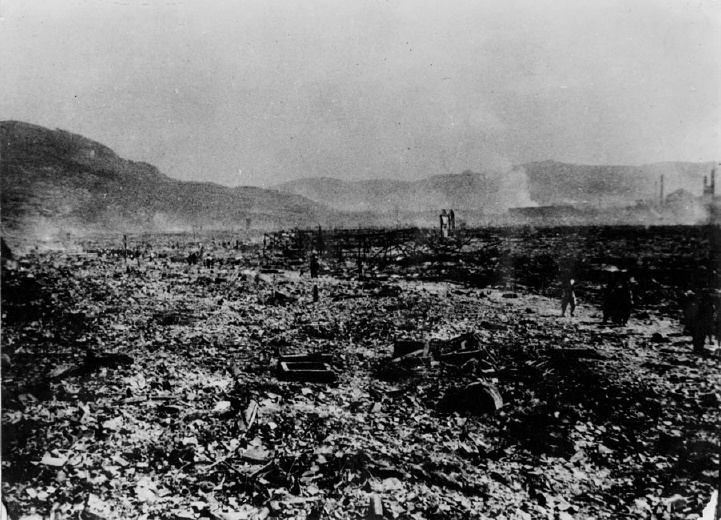 Bomb Hiroshima, the vast city, fallen at 8:15, August 6. At the station, the clock stopped figures marks the exact time. Monday 10.9: Received by Gov. Hiroshima Gensho Takano, Dr. Kitajima, Min. of Public health. The governor lost his wife. He seems stunned by this whole affair and has prob. refused to receive the gentlemen am. My journalist lost his brother and sister. Tuesday 11.9: Dr. MASARU MATSUNAGA. Visit the shrine of Miyashima Island. Visit Hiroshima hospitals and medecis, returned Miyashima. Thursday.13.9: Evacuation of the camps Tamano, Zentzuji, Mihama, Balian, truck, red cross car - All in order. Good work. at UNO. For his exceptionally meritorious conduct in the performance of extraordinary services as a Swiss citizen at the service of the International Red Cross, in connection with the location and evacuation of Allied prisoners of war after the surrender of Japan in August 1945. Landing on the coast of Japan on 9 August, Dr. Junod quickly made contact with collaborators who were aware of the location of internment camps and prisons throughout the Japanese Empire and, at the The arrival of the Third Fleet no. 28 August gave accurate and detailed information that allowed our planes to launch food and clothing to internees pending their release. In addition, he accompanied officials in the first boat to release the prisoners of war at Omori camp, he assisted as a guide and interpreter in the early liberation work and rendered any possible assistance in the release of other prisoners. of war in widely dispersed places. Through his administrative faculties, his aggressive determination, and his conscientious efforts in favor of our compatriots, Dr. Junod served as an inspiration to everything and contributed greatly to the prompt release of Allied prisoners of war from Japanese prisons. In the summer of 1946, as all the delegates had no work, the war was over, he left the ICRC and resumed his profession of doctor, to refine his surgical specialization. From September 1946 to July 1947, he did an internship at the Laennec hospital in Paris in the department of tuberculosis and thoracic surgery of Professor Robert Monod. To save money - he is not the type to save money - his wife and son stay in Switzerland and he lives in Paris with his sister Mado and her husband, Dr. Maurice Cord. Through this last - man of great culture, with many contacts in the arts - Junod befriends the Russian painter Pavel Tchelitchev, the writer Cilette Ofaire, Colette and others. It is during this period that he writes The "Warrior without weapons", typing the manuscript himself because he has no secretary. Max Huber  agrees to write the preface, and the book is published by Payot in French and by Europa-Verlag in German, followed very quickly by an edition in Swedish and later of English and American editions (1951) . Later editions in Japanese and Dutch were published, as well as in Serbo-Croatian (1994). The Spanish edition was published after Franco's death. Today it is the ICRC that manages the stock of the book, which remains available in English / French / Spanish. The publication of the Third Fighter was widely commented by the Swiss and international press and the first edition in French was exhausted in three months. 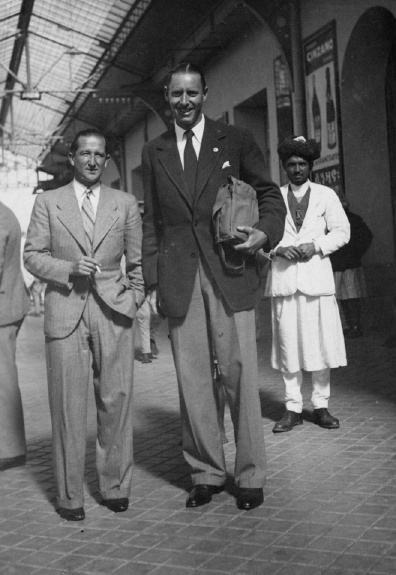 At the end of his internship, Marcel Junod gets a scholarship from the Swiss-American Foundation to further his thoracic surgery studies in New York and leaves with his family for the USA in October 1947. He will spend all his free time with them at Valley Cottage, north of New York, where his cousins ​​Maurice Heaton (1900-1990), artist and glassworker, live, and his wife poet and photographer Berenice van Slyke (1894-1979). But just after his arrival, he sees Maurice Pate , whom he knew from Geneva, at Lake Success near New York where UNICEF has just been created. The latter convinced him to give up his scholarship and to join UNICEF as a Liaison Officer. On December 19, 1947, Junod was appointed Head of Mission to the World Institution for Children in China, and left at the end of January 1948 for Nanjing, where his family joined him, by boat via the Philippines. He travels to Beijing, then Shanghai, seeking to accomplish his mission in the complex political context of the Chinese revolution.  . It was well-known that UNRRA, the main UN organization in 1946-47 in China for relief, had squandered its budget by two years - more than US $ 500 million - because of the war the post-war 1945 disorganization, the Chinese administration, inflation, corruption, etc. Junod had a budget of US $ 12 million ... to rescue 67 million children, a figure that grew by 16 million each year, less four to five million newborns who died of tetanus at birth for lack of hygiene. The aid was mainly used to support the actions of the best established charities and within a few months UNICEF child feeding centers were opened in a dozen major cities in China. But the situation was desperate: a doctor for 30,000 inhabitants, none of them outside the cities; 15,000 hospital beds for 450 million people, less than in the city of London at the time. Marcel Junod wanted to mount a campaign to vaccinate children against tuberculosis, which was devastating ... but he had five teams of capable doctors and as many nurses. He saw only cases of squandering of resources  . 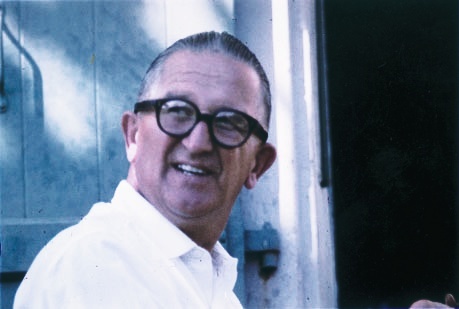 In addition, although he had the opportunity to open a North China Mission with two experienced doctors, Dr. Leo Eloesser and Dr. Perry Hanson, he was frustrated that he could do little for the children in the territory. Communist. In a letter to Maurice Pate in the summer of 1948, quoted by Hanson (op.cit. ), Marcel Junod wrote: "This is the most difficult mission I have ever had to face because its success does not depend on you or myself, or even the Government or the volunteer agencies, but the unlikely circumstances in which this country is today." Yet Hanson reports op. cit., p. 25 : "Before the middle of the year, so less than four months after his arrival, Marcel Junod had established formal and working relations with the Government, he had established a UNICEF office in the capital as well as local offices in several other cities, with staff in place or being recruited, and the foundation laid for UNICEF's work in North China". Leo Eloesser, a physician whom Junod had brought from WHO to assist him in his task, wrote to Pate on June 16, 1948 that "Dr. Junod took care of the situation with extraordinary skill and sagacity ..."
Mandated by the Executive Committee of UNICEF, Marcel Junod also carried out a four-day mission in August 1948 to Korea to carry out a flash analysis of the situation. His mission report  was taken up a few years later as the basis for UNICEF's action in South Korea. On January 22, 1949, Marcel Junod, whose health is shaky, goes to New York for the meeting of the Executive Council of UNICEF. His condition worsens abruptly and doctors diagnose severe arterial calcification of the left leg, which makes any movement difficult. Marcel Junod's three-and-a-half-year-old son has a severe amoebiasis and Pate brings his family to New York . In any case, the mission will end in May 1949. Junod brings back from China more than 80% of his budget to Maurice Pate, unspent, and says that it would have taken him ten years and a budget a thousand times higher to be able to accomplish something really useful. Marcel Junod still works at UNICEF for two months and his son is being treated at Mayo Clinic. But in April, he can hardly walk and returns to Europe urgently, because all medical examinations in New York remain inconclusive. In Geneva, it is his friend radiologist Pierre Bardet who finally diagnosed a huge cholesterol cyst in the femoral region, coupled with calcification of the iliac. On May 12, 1949, in London, Junod was operated by Sir Horace Evans. His convalescence is slow and he has to give up a high position at WHO. He understands that he will never fully recover and that it will deprive him of his job as a surgeon, unable to stand for long periods of time to operate. He reflects and finds a medical discipline that he could exercise sitting: anesthesia, which was in its infancy in continental Europe. 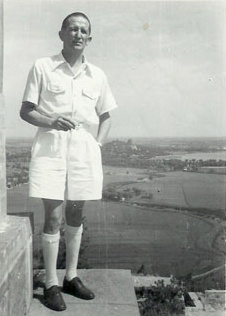 Despite his state of health, he went to Paris in October 1949 and did internships in this discipline at hospitals Cochin and Brousset. He graduated as an anesthetist from the Faculty of Medicine in Paris, but in February 1950, he had to undergo a second operation of his leg, at the hands of Leriche in Paris. His nephew Peter Ceresole remembers his uncle's stay: "In his room on the first floor, he had a blackboard on which he made anatomical drawings in colored chalks. Even now, I can not see an anatomical drawing without thinking of those he sketched, and the blackboard in this room. He walked every day to make his leg stronger. We lived in Addison Crescent and the street was a side of a triangle. He was leaving from our front door and going left, walking as far as he could, then coming back. At first, it only went to the corner with Addison Road. Then he disappeared around the corner for longer and longer excursions, but always returning from the left. Then one day he appeared from the right; he had made the full circle of the triangle. He was visibly delighted. I remember we celebrated the event." Having had the great honor of being awarded the Grand Gold Medal for Peace by Prince Carl of Sweden in 1950 for his humanitarian work  , Marcel Junod returns to Geneva in 1951. The return of London is in Fiat Topolino with his nephew Peter Ceresole, who remembers that "brought back a brand new anesthesia equipment, made of stainless steel, a sort of agglomerated gas tubes and mixer taps on wheels, which protruded from the convertible roof of the car. Fortunately, the weather was superb. At that time of exchange control and tariffs, he had a notebook for his equipment. There were also curare bulbs - this product being part of the research into new total anesthetic control applications - which caused unrestrained interest and excitement to customs officers. I think we arrived via St-Julien. I remember crossing the Jura (the Topolino was quite slow on the climbs) we greeted all the pretty girls we see screaming and waving our arms." Marcel Junod rents a house on the lake, "Le Clapotis", on the ramp of Vésenaz. He gets his FMH, and settles as anesthetist. In 1953, he managed to convince the medical authorities that it is essential to create an anesthesia department at the Cantonal Hospital, and offers a structure that also allows the training of young anesthetists. His proposal is accepted  and he will lead this department and practice medicine - his primary vocation - until his death. Junod did not lead his department without having to fight to enforce it. Many surgeons, particularly French surgeons, considered anesthesia as a job as a nurse or a second-class doctor. When, in addition, the anesthetist was himself a surgeon, friction was inevitable - which was the case not only of Junod, but also of his assistant in the Department of Anesthesiology of the hospital, Dr. Bertrand Bronner. Junod will also require that his replacement, if necessary, be Dr. Pierre Koenig who studied anesthesia in England at the same time, but Oxford with Sir Robert Macintosh. This ensured the continuity of the application of English methodology in the Department of Anesthesiology. He participates in many medical congresses, publishes many research papers and gives several lectures on his specialty, as well as on the medical effects of the atomic explosion. When he manages to escape on vacation, he returns to Spain where he kept friends in Barcelona from the time of the Civil War . On December 12, 1960, he gave his inaugural lecture of privat-docent in anesthesia, at the Faculty of Medicine of the University of Geneva on "Fluothane, its pharmacological actions and its clinical applications." He is launching the entire organization of a first major congress of anesthesiology in Geneva bringing together the Swiss, German and Austrian societies. It will take place from 8 to 10 September 1961 . On October 23, 1952, the International Committee of the Red Cross invited him to become a member of the Committee; his knowledge of the field and his qualities as a doctor will elect him in 1959 Vice-President of the institution. And so in 1952, Marcel and Jo Junod are looking for a house to buy in the Geneva countryside. A close friend, Raymond Deonna  , who gives them the lead to an old farm down Lullier, on the Commune of Jussy, which is for sale. In early 1953, they settle there. The tranquility that Marcel Junod knows allows him to cope with the double life he leads between the hospital and the ICRC. In his speech at the funeral of Marcel Junod, Leopold Boissier said "When, after a long journey, he received you in his garden Lullier, he invited you to look at the plain and murmured: How beautiful. " And, indeed, the flowers looked more beautiful, the wheats and the horizon, beyond the Vuache, brighter. For Marcel Junod, who had seen so many terrible things, God had preserved all the beauty of the world. Although he had difficulty walking and moving with a cane, in 1957 Marcel Junod carried out a mission to the ICRC in Vienna and Budapest from 11 to 19 June as part of the relief efforts after the crash of the Hungarian uprising of 1956 and went to New Delhi for the International Conference of the Red Cross and Red Crescent and then on mission in Cairo. He participated in the ceremonies of the centenary of the Battle of Solferino in 1959. The same year Marcel Junod is on a mission for the Red Cross in Japan in the context of the controversial issue of the repatriation of Koreans: some 600,000 Koreans still lived in Japan in the middle of the last century, a large remainder of those who go there. were installed after the Japanese annexation of 1910. Economically weak, some of these people wanted to return to North Korea, others in South Korea and some not at all. To solve the problem, appeal was made to a neutral institution, the ICRC. But part of the Japanese opinion and also some of the Koreans did not want the intervention of foreigners, which earned Marcel Junod an arrival route by car from the airport in the city marked with banners "ICRC go home! " and others - his role in Hiroshima was known - with "Welcome Dr. Junod!"  ." The problem was successfully solved in 1959/1960. 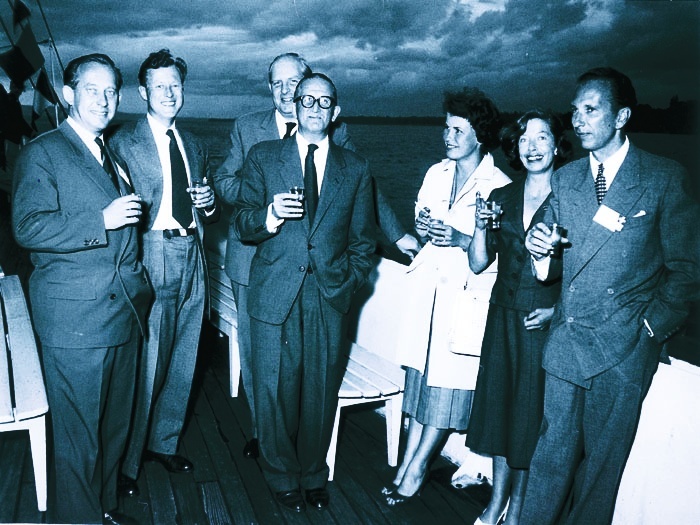 In 1960, he accompanied the ICRC President, Léopold Boissier to Poland and the USSR, and still carried out a long mission - the last - in the Far East (Taiwan, Thailand, Hong Kong, South Korea, Japan), Canada and the United States. United States, visiting National Red Cross Societies. On June 16, 1961, while discharging a patient from anesthesia at the hospital, he was struck down by a heart attack. He is buried in the cemetery of Jussy, according to his will  ; the ICRC receives more than 3,000 messages of condolence from around the world. Having received a large number of National Red Cross honors during his lifetime, he is awarded the Sacred Order of the Treasury of Japan posthumously . The monument in the Hiroshima Peace Park was erected by subscription in 1979, at the initiative of the Hiroshima Doctors Association, following the publication of an article by Dr. Matsunaga entitled "Dr. Junod - a benefactor of Hiroshima - an unknown episode "in the August 1978 volume of the Japanese monthly journal" Hujin ko-ron", pp.190-197. Since then, the anniversary of his death is the subject of a commemorative meeting every year in front of the monument, to which the local authorities, the Association of Doctors of Hiroshima, the choir of boys in the city, as well as the victims still alive - the hibakusya, fewer and fewer - take part. 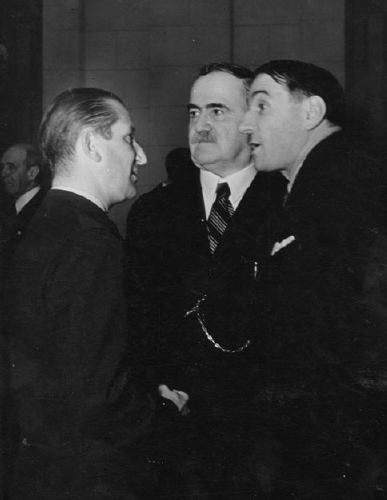 At the funeral of Marcel Junod, President Boissier wanted to "bear witness to that who was the most accomplished delegate of the International Committee of the Red Cross. I say the most accomplished, because in the many phalanx of those who have spent or are still trying to rescue the victims of wars and internal unrest, none has experienced so many experiences, none has had so many opportunities to manifest his gifts of selflessness, courage and humanity. " This brief biographical sketch would perhaps remain too dry and factual if I did not add some personal impressions of this father whom I lost when I was fifteen, just as he lost his own at the same age. Marcel Junod has always lived in the heat of action and in the gift of himself for his neighbor. When I was little, my mother had to explain to me that her absences were inevitable, that I had to share it with everyone for whom he was working. It was not easy for her either. At the age of five, in 1950, I spent the winter in Crans-sur-Sierre, recovering from a health problem. An English couple sees me playing alone in the snow in front of the chalet, my mother being inside. "Hello, little boy, what are you doing there in the snow?" "I'm building an igloo, but I'm thinking of 100'000 dead Hiroshima." Stunned, they ring the door to ask who is this child. Since we settled in Jussy in 1953, I had the impression to enjoy much more of my father. He loved gardening and patiently taught me how to distinguish and pull out weeds, sow radishes, discover birds - he whistled wonderfully and imitated the blackbirds who came to eat in his hand. Nature fascinated him and he took advantage of the countryside, although his farming efforts were not always successful: I remember a barrel of mirabelle plums installed in the garage and inadvertently closed with a cork that exploded in the middle of the night, covering the whole garage of a stinking mash of yellow-green fermentation ... His work fascinated him; he was at once fast, meticulous and tireless. His days began early in the hospital, and he dropped me off at school, deserted except for the cleaners, at a quarter to seven. In the evening, I was anxiously awaiting his return home, sometimes delayed by 'committee meetings'. He sat down at the piano and relaxed playing an hour or two - Chopin, Schumann, and Bach, still Bach. The living room resounded, then, with his laughter and those of the guests who paraded incessantly. His costume always smelled like hospital and Gauloises. He loved all the latest inventions and we had one of the first televisions in the canton. A trip with him necessarily meant a cultural stop somewhere to visit a Romanesque church or a good restaurant. He never lost his appetite for beauty, novelty, curiosity for the world around him. A quality that I especially enjoyed at my father's was his patience and extraordinary availability - which are characteristic of a good doctor. He was always attentive and ready to give an objective opinion, if he was consulted, which earned him to have friends everywhere and from all walks of life. He had two black beasts : injustice and fanaticism, saying that the first was often the result of the second. For my fourteenth birthday, my father invited me to lunch between men at the Restaurant 'The Globe'. I still remember the white starched tablecloth, the heavy silver plated services and the Nantua pike dumplings. Junod, Marcel, Warrior without weapons, Payot ed. 1947, etc. Ohsako, Y, Valiant without arms; the Life and Personality of Dr. Marcel Junod, Tokyo 1979, 209 pp. Richard Samuel's father, Henri Junod (1825-1882) was pastor at the Collegiate Church of Neuchâtel ('Marie-Adèle Dubied, 1833-1907). Their other children were: Ruth Adele (1858-1901, 'Paul Berthoud, pastor, missionary in South Africa); Rose Henriette Elizabeth (1861-1940, Diaconesse in Strasbourg then Director of the Pourtalès Hospital in Neuchâtel); Rose Marie (1862-1938, 'Clement Heaton, artist, master glassmaker); Henri Alexandre (1863-1934, famous ethnologist, pastor and missionary at the Transvaal, author of the first dictionary of the Tsonga language, '1. Emilie Biolley, 2. Sophie Kern); Charles Daniel "Cinebref" (1865-1941, Pastor, President of the International Federation of the Blue Cross Committee 1929-1941, 'Marguerite Robert-Tissot). See footnote 1. 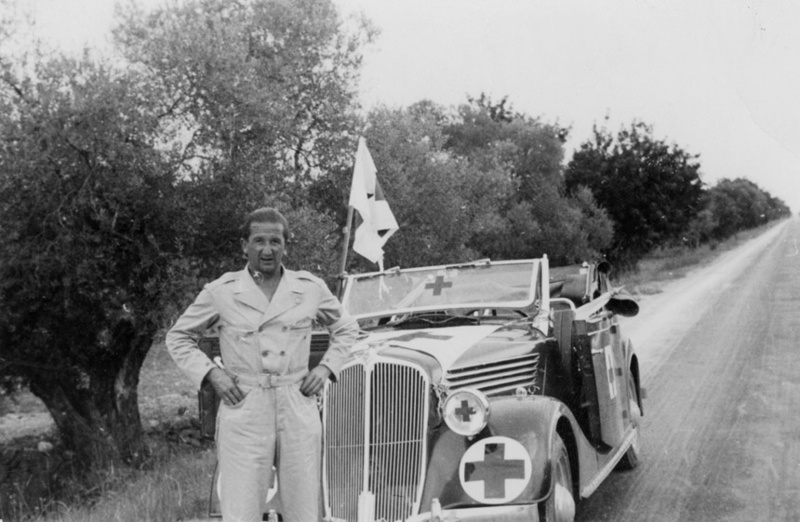 His son, Henri-Philippe (1897-1987), also carried out missions for the ICRC. In 1944, having not practiced medicine since 1935, he will represent a thesis entitled: "Psoriatic Arthropathies and Traumatisms in Accident Medicine." St. Bartholomew's Hospital Journal, Sept. 1936 pp. 223-225. The author is Captain R. Townshend-Stevens. Koestler talks of Marcel Junod in his Spanish Testament, in Darkness at Noon, and in Dialogue with Death. The Soviet Union had been party to the 1929 Convention on the wounded and sick since 1931, but had neither signed nor ratified that on prisoners of war. 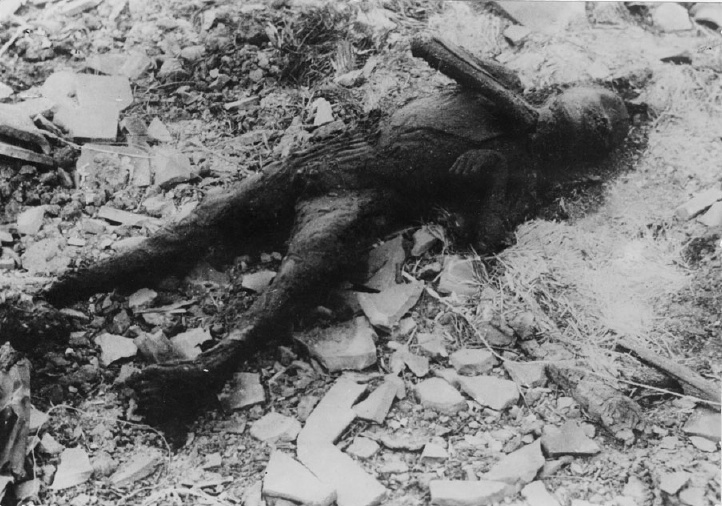 It will only be a year later (September 10-13, 1946) when John Hersey publishes a great article in the New York Herald Tribune (taken from New Yorker magazine), that the American population will really get acquainted with the extent of the horror of the Hiroshima and Nagasaki nuclear bombing. According to some sources twelve, according to others, fifteen. It is interesting to note that a few days later, the Americans also send relief to Nagasaki. Junod was still in Hiroshima at that time. He was the first European doctor to visit the scene. Dr. Matsunaga, who accompanied Junod throughout his stay in Hiroshima, saw him take copious notes, in addition to annotations in his diary. Unfortunately, they have not been found yet. Very Anglophile, Georgette ("Jo") Junod decides to give birth in London where lives one of her sisters-in-law and a very close friend, Norah Hartley. She makes the train trip from Geneva to London with her brother-in-law Victor Ceresole, and they arrive on August 20, 1945. They had to make a curious couple: she measured 1m 54, and he 2m 09. In the compartment, a traveler asks : "Where are you going?" She answers: "In London, we work in a circus ...". See documents at the Federal Archives, Bern. A lawyer, diplomat and statesman, Max Huber (1874 - 1960) was President of the ICRC from 1928 to 1944. 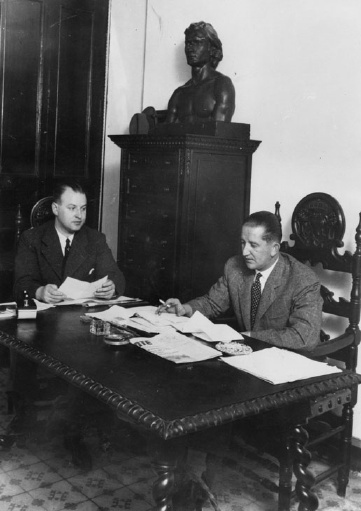 Both Huber and his successor Carl Jacob Burckhardt (1891-1974, ICRC President 1944-1948) greatly appreciated the dynamism and Junod's honesty. The following information is based on reports by MJ on his activity in China, cross-checked with two highly informative books by Black and Hanson (see bibliography). An overview is also found in the text of a lecture given by Marcel Junod at the Anglo-Swiss Society of London on April 3, 1952. For example, 500 superb x-ray equipment had been imported from the US by UNRRA at the request of the Chinese Government, 480 of which were rotting in a warehouse because there were only 20 Chinese doctors who knew how to use that equipment. Mrs. Junod and her son will leave Shanghai by boat, at the moment when the revolutionary troops took the city; their boat managed to get out of the harbor, while the one who was following was sunk by a shell. In December 1956, he brought Hewer to Geneva, where he and a small group of experts developed a portable, lightweight narcosis machine that could be parachuted to relief posts in conflict situations. A prototype will be manufactured by Carba. S. A., but will not be marketed. Fellow of the Faculty of Anaesthesia of the Royal College of Surgeons. He will receive it between Pius XII and Eleonor Roosevelt. ...after two years of procrastination. Junod is appointed on October 9, 1954. Holidays in Cadaqués 1954-1956, then Port-Lligat (1958-1960), where he will meet Dali many times. Marcel Junod should have presided over it. Fortunately, the event went perfectly thanks to the effectiveness of Dr. Bronner and the support of Dr. Pierre Koenig. (1907-1972). The Deonna lived in summer at the Beillans. Narrated later by Melchior Borsinger. By coincidence of chronologies, he is buried next to another ICRC delegate, Georges Olivet, killed in the Congo in 1960. This decoration was awarded to him for his work in connection with the repatriation of Koreans and the release of Japanese fishermen who were detained in Korea.